There were a lot of reactions in the recent petrol hike situation and rightly so. Most of which included mostly cursing the government and so on. I on the other hand have been thinking what if we take this as a blessing in disguise,a warning. Don’t think I have lost my mind. I have a logical explanation to that statement. ( at least think it’s logical). So read on! To explain things a little better I am going to give you guys a little bit of history. 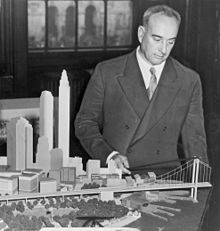 Robert Moses and Jane Jacobs were two great thinkers of how a city should be planned in the earlier 19th century. Moses changed the look of America and its cities. 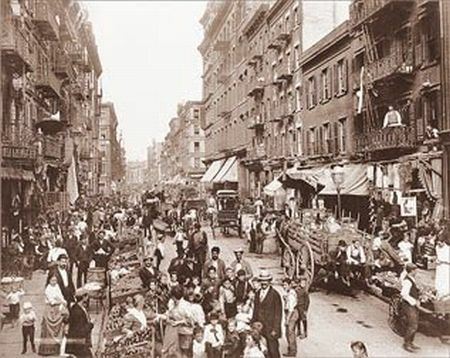 Newyork in the early 19th century was a very different sight. You hardly saw a car on the road,no flyovers or bridges. All you saw were hundreds of people on the roads either walking or cycling to their destinations. The road was a playground for kids. The only other mode of transport was the horse cart. As science progressed the car was invented, and slowly but surely you saw hundreds of them on the road. Suddenly the streets were a mess there wasn’t any traffic control and space leading to jams and accidents. This is when Robert Moses came in and said he had a solution. He started building flyovers and bridges everywhere. As the roads became wider and better, the car also became much more affordable. The sight on the streets changed. You saw less and less pedestrians, no more children playing on the streets. The city was now planned only for cars and not for people. 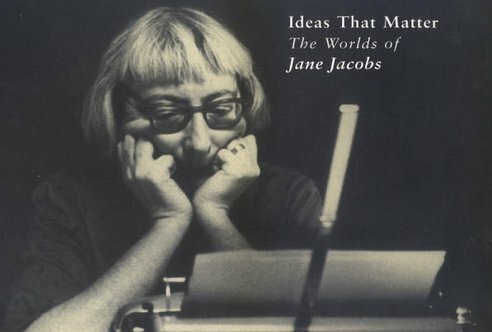 Jane jacobs was an arch rival of the Moses philosophy. Moses would just break down the houses of the poor people leaving them homeless for the purpose of making his flyovers. Jane’s argument was very simple. She asked a fundamental question , ” We want our cities made for the car or for it’s people?’ . A city should be safe for its children to walk on the road. At that time Jane was just brushed off by Moses. He said she had no architectural knowledge. (she wasn’t a qualified architect). Though Jane was brushed off at that time today people in the States are going back to what she said and actually seeing her way of looking at cities as right. This change of perception is not just in the states but also inmost of Europe ,is mainly because of the depletion of natural resources, especially oil and petrol. The pollution and the vast amount of damages to health is another cause of concern. They have started realising that if do not alter our ways right away our next generations will have nothing left to use. Also cutting down of trees and forests also hills to make roads is hampering nature. Also the streets are increasingly isolated from children and pedestrians.America is still just starting to make changes in the way they build there cities. Though Europe especially Copenhagen and Amsterdam are way ahead of the curve. They are fighting for the place of the most liveable city in the world. The Danish architect Jan Gehl is the chief man in making Copenhagen such a people friendly city. He emphasised on a very good public transport system, trains and buses. Then he gave top priority to bicycles on the road. The roads in the city are the most bicycle friendly. He has turned most of the parking spaces into people’s spaces,as in into markets and pubs. Also in various cities including London. They have a system called congestion pricing. Every car that enters a busy city street has to pay for it. This change has already cut down the use of cars. As they are heavily charged most of the people prefer to use the public transport. In Paris they invented a revolutionary cycle system called VELIB. There are cycles available besides ever subway station. You swipe your card an take the cycle anywhere you want and park it anywhere they will be taken back to the nearest subway station. This has led to less and less use of taxis in Paris. The concepts the world is using are very simple. They give top priority to cycles and public transport. Cycle slowly is becoming the coolest thing you can own to commute. It’s most environmental friendly, a good exercise, the cheapest mode of transport and absolutely low maintainence. Making a city cycle friendly is not an easy job. Most of the cities I have mentioned above have took 20 to 30 years to become as good as they have. Gehl says we have to make small changes every year however insignificant they seem and after a period of time they turn into revolutionary changes. I know we cannot ride a bicycle in our cities. I can especially talk about Pune. We donot have much respect for our cyclists, our cyclists are just not safe. I think Delhi,Bangalore and Mumbai do have a good public transport system. The Delhi metro is really impressive, I almost thought I was in london. 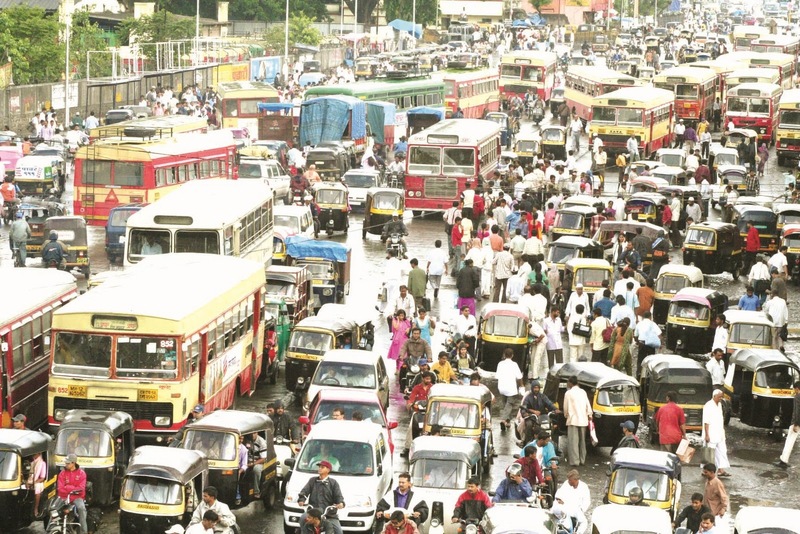 Though Pune being such a big city has a really bad public transport system. We have an absolute disregard to our pedestrians population. Really, how does a sixty year old cross the road in Pune, is a big question nobody seems to ask. I mean we are called the retirement city for god sake. All the city seems to do is build flyovers to accommodate traffic. Our cities are exactly at the stage where Newyork was some years ago. They have realised now that Robert Moses way just not sustainable. It will collapse. We have to learn from there mistakes because if we don’t wake up soon, we are in for big trouble. The simple truth is petrol will be non existent very soon if we don’t alter our ways. The amount of loved ones we lose in accidents is increasing day by day. We have to start being creative and look for alternative measures. If we don’t all we are going to be left with is the solar energy. There are a lot of NGOs working on making cities more environmental friendly. I think it’s high time we start rendering our help not because it’s noble and they need our help. Its exactly the other way round we as citizens need their help. Jane Jacob must be looking up from the heavens and surely having a great big laugh, saying I told you so!…..I hope God gives us the strength and the wisdom! I hated wie complex when I came here for the very first time. I was from Mumbai and I loved everything about it. Coming to Pune at 9 years of age, I hated it. I slowly started training here knowing that there wasn’t any other place to go if I wanted to play badminton. Complex had a total of 4 courts that time. It had a history of hosting the greatest players of badminton likes of Prakash padukone and Nandu natekar etc. But at 9 yes you really don’t care about the history. All you want is your surroundings to be normal and amongst people who know you. The first 6 months in Pune were a disaster for me. As I was the new kid from Bombay I never got any support when I played tournaments against the local favourites. I always knew that if I get a point there will be just two pairs of hands clapping for me, my mom and dad. If I lose a point the 200 people present there would clap for my opponents. I used to sometimes cry even after winning just because the crowd never supported me. Though slowly pune, wie complex and it’s people accepted me. I think as I started doing well in the state and the national tournaments some recognition came. I went from being a mumbaikar to a punekar. I slowly settled down and started being loved and respected. The real change came when I started training under hemant hardikar in the Prakash padukone academy. I started loving it. Hemant sir made me flourish. I started doing exceptionally well and started playing for the junior Indian team just after two years of his training at 14 years of age. Today after all these years I look back and realise how much I owe to the wie sports complex. Yes, I know I might sound a little crazy but it is the truth. Complex is the only place after home where I am truly at peace. I work towards my dream, it’s my space. Those Walls of the complex have seen me grow from a ten year old till now. Yes, I know I make it sound like almost a living character. But strangely that’s how much that place means to me. I have been to train in various centres in Bangalore,London, Paris etc. I was in Bangalore for almost 5 to 6 years. I love the kba courts too but I could never connect with it the way I do with complex. It’s almost a magical place for me. Where all my worries, inhibitions are lost. I live in a bubble. In the recent two years my knee has caused me some problems. Sometimes the pain gets too much and i go real down mentally. There’s a corner in the complex where I sit down and cry, alone. I look at the ceiling and console myself. The silence around consoles me, I remind myself about the past and get some strength out of it. Complex knows my story. It knows how hard I work, the pain I go through, and importantly how much I love the game. The staff right from shinde kaka,dilip kaka, kalyani and everyone have celebrated my success as if it’s there own. As some of the members know I am going through a knee issue, they come up to me and give solutions. Right from Ayurvedic to orthopaedic. Austin uncle a great friend I met there gets me plum cakes which I absolutely relish. I would have never thought when I first came here that this place would be the place where I discover peace. Peace, is such an important word. One can go absolutely crazy without it. When I have all these anxieties about life. Those questions about life of which answers are unknown,all I do is pick up my kit and go to complex. As I enter that space all my anxieties vanish. I kill myself on the court, relish the pain and when I lie down there dead tired, that moment I find peace. When I am so dead I cannot push anymore. I know not many people see that smile on my face, though those four Walls of the complex know that smile. They have seen it for quite sometime, now. She stands on the Tiranga chowk wearing a whistle, a yellow cap and a jacket that says ‘Save Pune’. I would see her everyday there on my way to practice and training. She stands there guiding vehicles, trying desperately to get their attention and make them stop on her blowing whistle. People hardly listen to her but she keeps the whistle blowing. She should be in her seventies, she’s not taller than me and has her cut short. She isn’t a traffic police woman, she voluntarily stands there to help out. I noticed her for a week. Earlier I too wouldn’t really bother to her whistling as it’s not really a very busy chowk. But then I really felt sorry for her, so whenever she wanted me to stop, I stopped until she again blew the whistle. Slowly we recognised each other , so we would smile at each other as I passed by. Some days passed and I still saw her there everyday, trying in vain to make people follow her whistle. One day I stopped my kinetic and went to her. I asked her if she would want a cup of tea. She looked at me as if I was from mars. When she asked me why?, I told her I just wanted to have a chat. She seemed a little sceptical but finally agreed. I took her to the tapri on the opposite side of the road, and ordered for two teas. After this we kept seeing each other everyday. Once a while I would take her to the tapri and have tea. Suddenly one day she told me to stop along the road. She came close and said ,” would you like to have some real tea with me at my house?”, I was a tad surprised though I couldn’t say no I took down the address and went to her place on a Sunday afternoon. I was expecting an old building. Not exactly a very clean or a very modern house. A small flat, one bedroom and a kitchen for her and her hubby. But when I saw the building I kind of was taken aback. It was a really posh building, houses with big terraces and all. I rang the bell of 204 and a maid welcomed me saying ,” come on in darling!, she will be right here with you.” as I entered the flat I almost swallowed a litre of spit inside. The house was beautiful. It was a huge 3 bedroom apartment, with antique vases and paintings all around. There wasnt a speck of dust. When suddenly Mary came in and told me to sit down. As I sat I said ,” it’s a damn cool flat, Mary.” she replied saying, ” ya, I just switched on the AC,that’s why.” , I laughed and told her what exactly I meant. She put her hand on her forehead and cursed the young generation a little more. There were a lot of photos all around the place. I casually picked up one next to me and recognised the younger Mary in it. I complimented her on how beautiful she was, she took the picture in her hand and smiled and then said, ” the girl beside me is kaira. We were ” chaddi friends” in your terms. We spent such great times together. You remember the first day you asked me why I do this? In reality I do it for her.” I gave her a puzzled look. ” kaira died a year back at 70 years of age, while she was crossing the road. A young fellow on the bike came charging at her breaking a red signal. I stand there in the scorching sun hoping I could save someone’s Kaira.” Small drops of water started accumulating in her eyes. She quickly wiped them off. ” Enough of my stories, I don’t know much about you come on tell me some of your stories.” I tried to make her laugh and thankfully she did. After an hour or so it was time for me to leave. As I came to the door, she suddenly said, ” I will see you soon tomorrow! It was nice having you here, Aditi.” I turned around with my mouth open. ( in then ten times I have met her, she never had got my name right. She blamed it on her old age.) She laughed, looking at me. ” See I am not that old after all. I remembered your name, this should be ‘COOL’ right” I smiled. I looked at her and said, ” ya this qualifies as cool. You Mrs. Mary Desouza are VERY COOL!” She smiled and kissed me good bye. That day I realised that being rich is not only about nice cars, nice houses and parties. It is also about missing a friend and standing on the road hoping she might be looking and smiling at you. We generally have a thing in our mind that rich are not really bothered about things happening around them as they know it’s not going to make life any different for them. But Mary has changed that notion for me. Being a good friend is not really dependant on how much bank balance you have but how BIG a heart do you own.